Data is from the January 2015 HUB Research report titled "The New TV Experience." 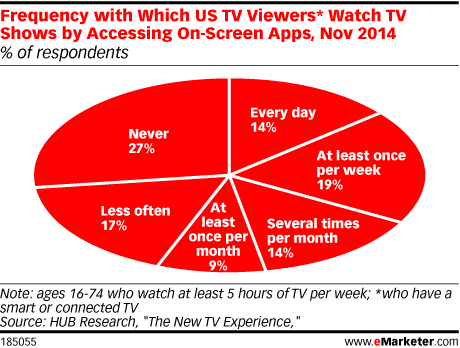 1,202 US TV viewers ages 16-74 were surveyed in November 2014. All respondents had broadband access at home and watched at least five hours of TV per week. The results were balanced according to the US census.